Trying to prevent heart disease by lowering cholesterol is like trying to prevent obesity by cutting out lettuce. In 2012, cardiologist Stephen Sinatra and I came together to write a book, The Great Cholesterol Myth: Why Lowering Cholesterol Won’t Prevent Heart Disease and the Statin-Free Plan That Will. We believe that a weird admixture of misinformation, scientifically questionable studies, corporate greed, and deceptive marketing has conspired to create one of the most indestructible and damaging myths in medical history: that cholesterol causes heart disease. 30% OFF All Orders + FREE SHIPPING on orders over $70! By focusing on cholesterol, we’ve virtually ignored the real causes of heart disease: inflammation, oxidative damage, stress, and sugar. These are things we can actually do something about using food, supplements, and lifestyle changes, none of which has the costs—or the side effects—of drugs. First, let’s start with some surprising facts. Cholesterol is a minor player in heart disease. Cholesterol levels are a poor predictor of heart attacks, since half of heart attacks happen to people with normal cholesterol, and half the people with elevated cholesterol have healthy hearts. Due to this, lowering cholesterol has an extremely limited benefit. But if you’re willing to consider breaking with conventional thinking for a minute, consider the following study, one of the many we discuss in the book. In the 1990s, French researchers decided to run an experiment—known as the Lyon Diet Heart Study—to test the effects of different diets on heart disease. They took two groups of men who had every risk factor for heart disease imaginable. All of them had survived a heart attack. They had high cholesterol, they smoked, they didn’t exercise, and they had high levels of stress. Half the men were advised to eat the American Heart Association “prudent diet” (low saturated fat and cholesterol), while the other half were advised to eat a Mediterranean diet high in fish, omega-3s, vegetables, and monounsaturated fat like olive oil. The study was stopped midway because the reduction in heart attacks in the Mediterranean group was so pronounced—70 percent!—that researchers decided it was unethical to continue. The cholesterol levels of the men who ate the Mediterranean diet didn’t budge—they were just as high when the study was stopped as they were when the study began. The men just stopped dying, and cholesterol had nothing to do with it. The primary causes of heart disease are inflammation and oxidative damage, which feed on each other in a chicken-and-egg scenario. It starts with small injuries to the vascular wall (inflammation) that can be caused by anything from high blood pressure to toxins. Then, oxidized (damaged) LDL-B particles take up residence in the neighborhood. The immune system sends inflammatory cytokines to the area, creating more inflammation which creates more oxidative damage in a vicious cycle that eventually results in plaque and an increased risk for heart disease. If there was no inflammation, there would be no plaque. Note that I mentioned something called LDL-B particles. Perhaps you’re not familiar with those, but you should be soon. The old “good” and “bad” cholesterol tests are woefully out-of-date. We now know that LDL cholesterol—the so-called “bad” cholesterol—comes in several flavors, and not all of them are bad at all. The particle test will also tell you the number of particles you have, a number which trumps LDL as a predictor of heart disease any day of the week. Any other cholesterol test is out-of-date and useless. Sugar—a far worse dietary danger than fat—is inflammatory on its own, but also contributes to insulin resistance and fat gain. Again, it’s a vicious circle. Sugar causes insulin resistance, which causes you to accumulate more fat, and more fat equals more inflammation. Fat cells are tiny hormone factories spitting out inflammatory cytokines and increasing overall inflammation and arterial damage. 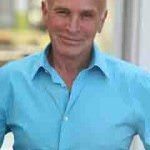 Jonny Bowden, PhD, CNS, also known as “The Rogue Nutritionist,” is a board-certified nutritionist and the best-selling author of 13 books on health. This article is adapted from his latest book, The Great Cholesterol Myth, co-written with cardiologist Stephen Sinatra, MD. Recipes are courtesy of The Great Cholesterol Myth Cookbook.